Ifo Ekpre-Olomu is gone. Troy Hill is gone. 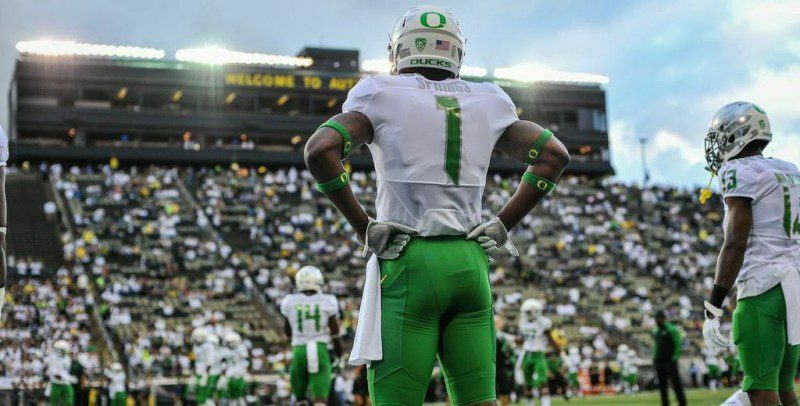 The cornerback position is as wide-open as it’s ever been, and the Ducks are in desperate need of someone to step up. Enter Arrion Springs. Springs, a sophomore from San Antonio, Texas, was the top Duck recruit just two years ago. His grade even surpassed that of Royce Freeman, a now plausible Heisman candidate. 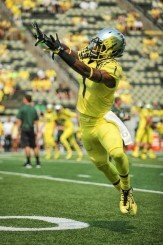 Springs earned the sixth best ranking of his position, and was one of the top 50 recruits in the nation when he signed with the Ducks. After a year of riding the bench, learning from veterans like Ekpre-Olomu and Hill, many believe now is his time to shine. On top of his elite speed, Springs possesses above average ball skills. The cornerback position will not be an easy one to win, though. The only veteran with real experience is Chris Seisay, but his underwhelming play last season doesn’t guarantee anything. Springs will not only have to compete with Seisay, but also freshman Ugo Amadi and newly repositioned Charles Nelson. This is a year for the Oregon defense where, even with the substantial turnover, the Ducks are expected to outperform last year’s squad. New freshmen studs like Canton Kaumatule and Fotu Leiato will carry their weight up front, but the secondary is where Oregon is called into question. With almost no returning starters, players like Springs will be forced to learn quickly. With that said, Springs appears to be a perfect fit for the Oregon defense. He has good instincts, and his ball skills make him even more dangerous. Where Springs looks to make the biggest impact, though, is with his speed. He has the top-end speed to keep up with any Pac-12 WR, and that’s absolutely crucial in Oregon’s bend not break mentality on defense. As long as no one is getting behind him, Springs should see success as a CB this season.